The Plan has been written by two young politicians who have discovered first hand how inert is the machinery of the British state, and how intense is the consequent anger on the doorstep. They offer an analysis of why people are sick and tired of politicians, and what can be done about it. Douglas Carswell, is the forward-looking MP for Harwich and Clacton, and Daniel Hannan the firebrand MEP for the South of England. You can read more about Douglas here and about Dan, here. Britain is heading in the wrong direction. The British people are giving up on politics and politicians. 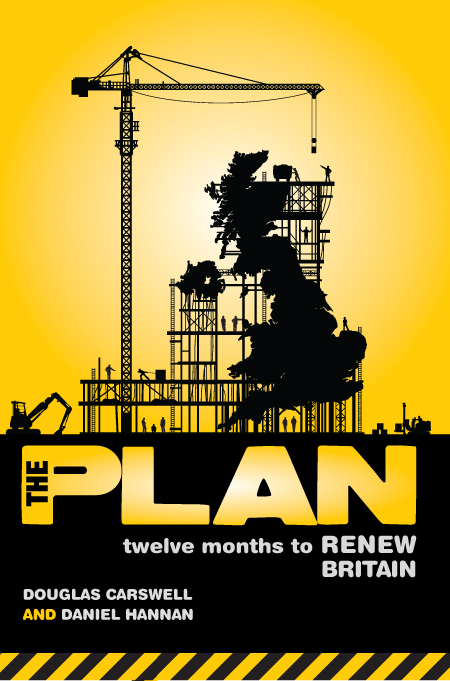 The Plan is a book that sets out how to put Britain on the right track again. Douglas and Dan show how a future government could actually shift powers back, from Brussels to Westminster, from Whitehall to town halls, from the state to the citizens. Things do not have to be as they are. The Plan shows how we can change our country for the better.